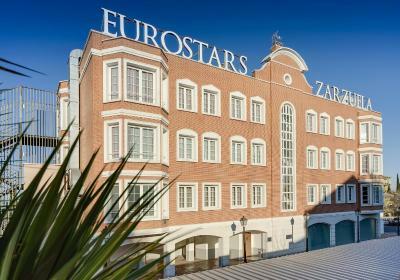 Lock in a great price for Eurostars Zarzuela Park – rated 8.4 by recent guests! Super comfortable beds and beautiful spaces. The staff was incredibly kind. 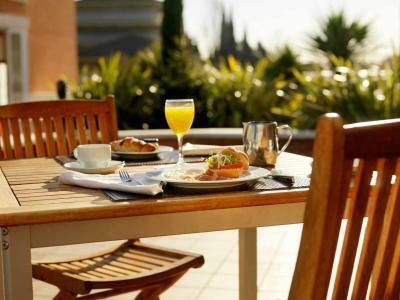 The breakfast was ok and the rooms were clean. Loads of free parking. 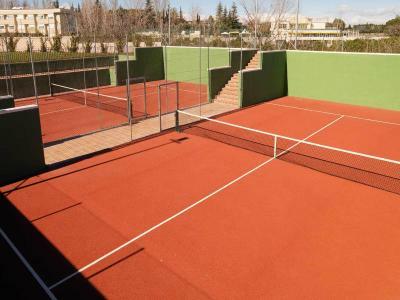 Modern facilities and great garden in a quiet residential area. Good parking facilities. I liked the grounds, parking on premises, and restaurant. The place is a bit out of the way, to visit Madrid. But it is good to visit surrounding towns. We took the bus #162 to Moncloa and from there we took metro to center. Convenient location. Staff is very helpful and friendly. This hotel must be really nice when the weather is nice and you can enjoy the pool. Very good value for money. 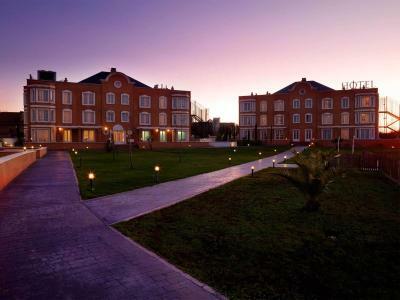 Eurostars Zarzuela Park This rating is a reflection of how the property compares to the industry standard when it comes to price, facilities and services available. It's based on a self-evaluation by the property. Use this rating to help choose your stay! 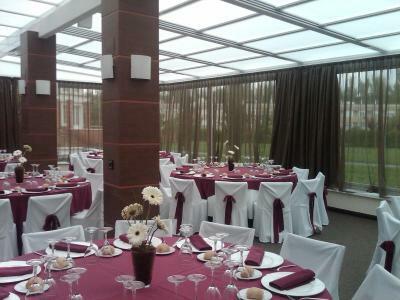 The Eurostars Zarzuela Park enjoys a peaceful setting, surrounded by beautiful gardens and only 3.7 mi from Madrid city center. 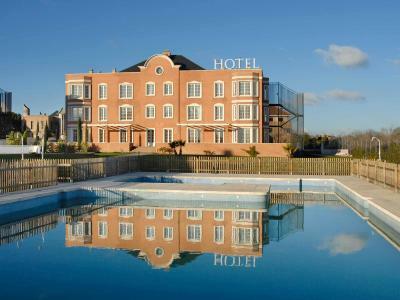 It features a seasonal outdoor swimming pool and modern rooms with air conditioning. Free Wi-Fi is available throughout the hotel and there is free on-site parking. 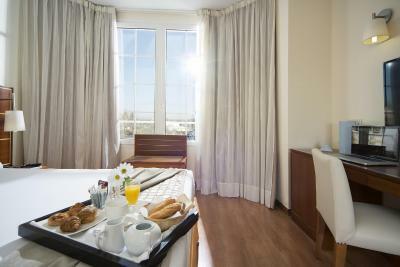 The hotel also operates a 24-hour reception for guests’ convenience. 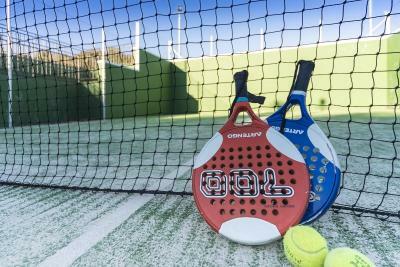 Paddle-tennis courts are available. 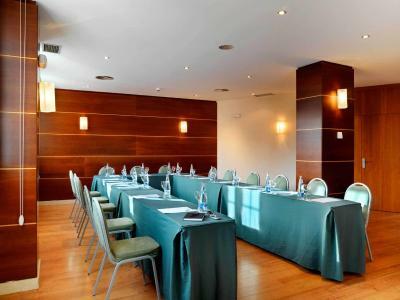 A 50 square yards meeting room is also available for holding meetings or banquets. 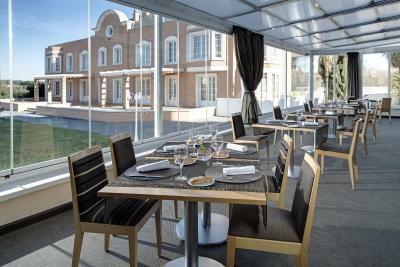 The restaurant at Eurostars Zarzuela Park serves creative fusion cuisine. 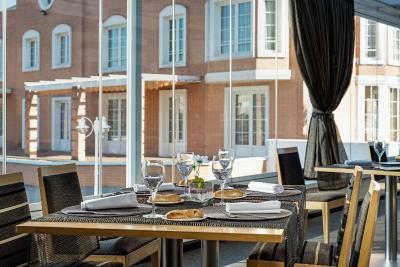 During summer months guests can enjoy meals on the terrace. 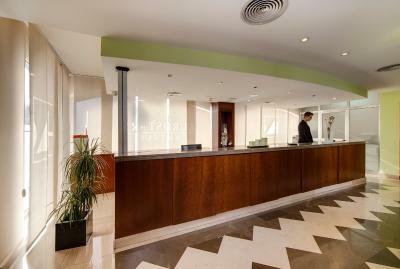 Moncloa is just a 10-minute bus ride away from Eurostars Zarzuela Park, with a bus stop directly in front of the hotel. 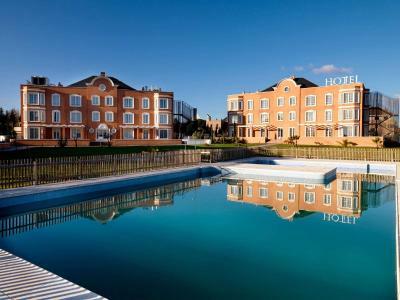 Madrid Adolfo Suarez Airport is 25 minutes' drive from the property. 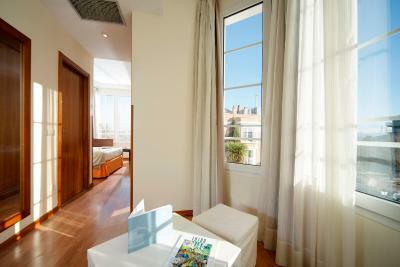 When would you like to stay at Eurostars Zarzuela Park? 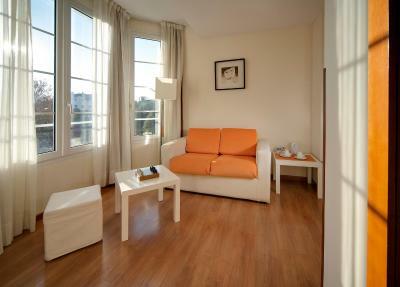 This bright room includes air conditioning, free Wi-Fi and a 39-inch cable TV with various international channels. 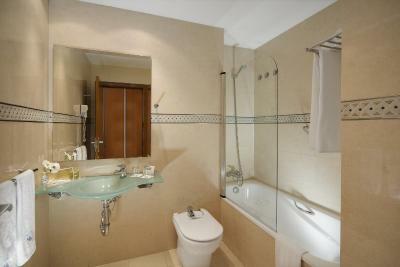 It also features a minibar and a safe. 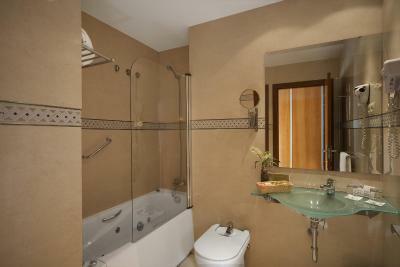 The modern bathroom has a bathtub. 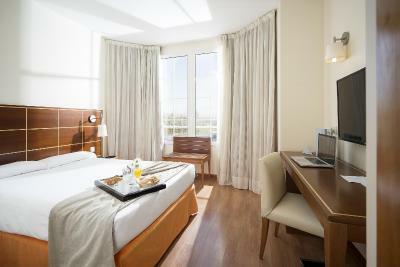 This bright room includes air conditioning, free Wi-Fi and a 39-inch cable TV with various international channels. It also features a mini-bar and a safe. 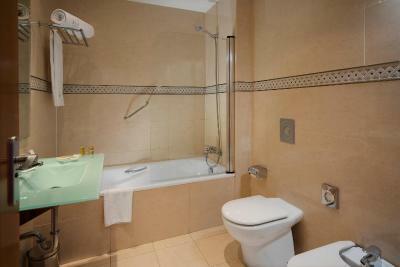 The modern bathroom comes with a bath tub. 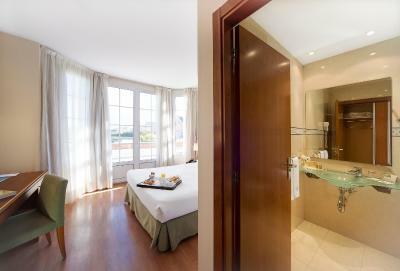 - a romantic detail in the room. 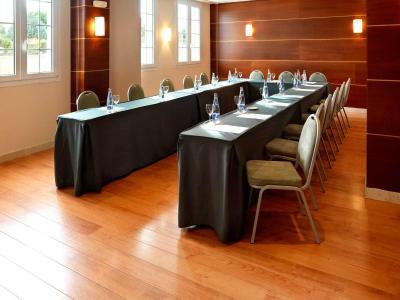 House Rules Eurostars Zarzuela Park takes special requests – add in the next step! 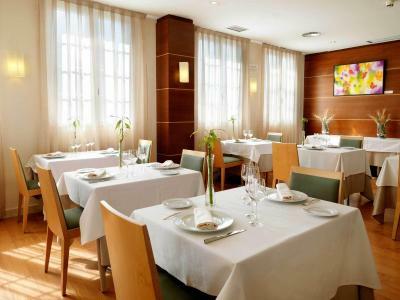 Other Eurostars Zarzuela Park accepts these cards and reserves the right to temporarily hold an amount prior to arrival. 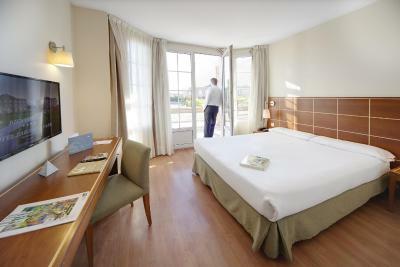 Eurostars Zarzuela Park accepts these cards and reserves the right to temporarily hold an amount prior to arrival. Please note that the swimming pool is open from 17 June until 17 September 2018. The mattress was very uncomfortable. The bed was as hard as a rock. The duvet cover was about 3 times too big for the miserable inner that it was covering and the air conditioner didn't work at all. 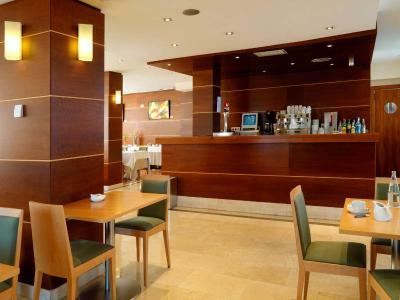 Reception told us breakfast was 8 euro per person but never bothered to mention it's more if you don't book beforehand. It's not a lot of money, but it's the principle. Overall, not fantastic. Wouldn't return. Breakfast was not that good. I liked the park inside the hotel it have great view. 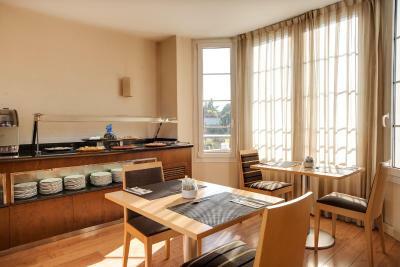 Very clean apartment, great breakfast ( everyday same breakfast and tasty). Good personal attention. Hotel have its own free parking. But if you want to go madrid center without car its very easy just in 40 min with bus and metro. Fast wifi!!! Is too far from the city. Amazing views, great location and well connected (Bus to the centre). Hotel is in 3 buildings so you have to go outside to go to restaurant. Staff was very nice, was hard to communicate in English in the restaurant but they tried their best. Parking is free which is huge advantage. 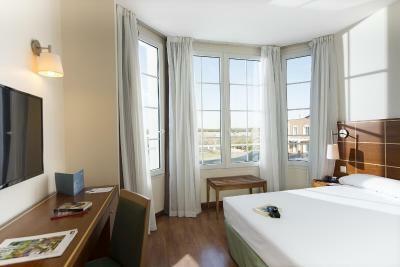 Hotel is located quite far from old town (about 1h by public transport) but is quiet and pleasant area to stay. Shopping centres are less than 15min drive. 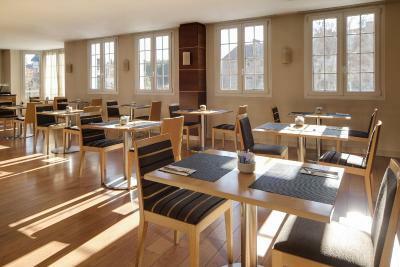 Food in restaurant was delicious and rooms were spotless clean. 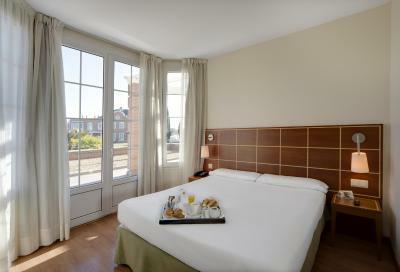 The hotel is clean, comfortable and definetely value for money.